Here at CWPH we are grateful for the incredible people we are proud to call part of our team. Cayley Wilson, an NRCHA and NCHA Competitor and Judge has a passion for training horses. His career started professionally in 1999 and his dedication and hard work has paid off in both National and International Competition. He attributes his success to his Mentors, Les Timmons, Denton Moffatt, Boyd Rice, Todd Crawford, Denton Moffat and countless others who have helped him along the way. But a GOD given gift indeed is what he is most thankful for. "It takes a hard working team, great clients and horses, and a supportive family to be successful in this business," Wilson states, and he is blessed to have that. Cayley recognizes the importance for continual growth and learning both for himself and his team. It takes an open mind and an eagerness to blend new techniques with his own for continued success. 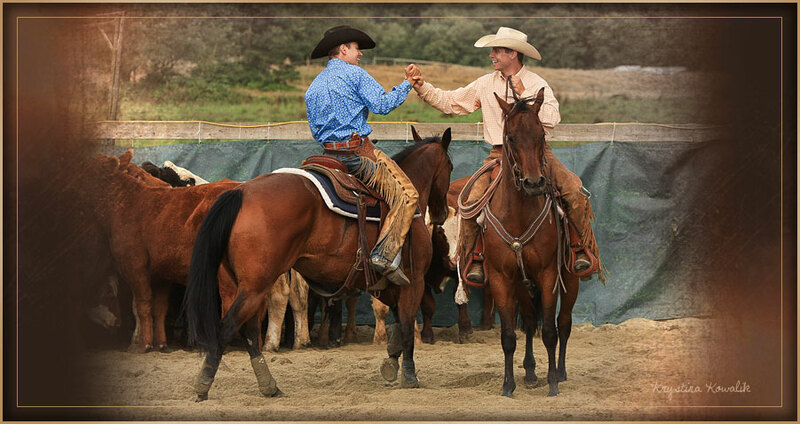 "Each horse is an individual, so not every method works for every horse." The same is true for his Non-Pro riders, who at times need different strategies to achieve their own personal goals. Cayley has also had great success in the sale pen, and has earned a name with his fellow trainers for bringing well broke prospects to the Futurities each year to sell. These colts that Cayley trains are consistently in the top 5 selling horses, making them great investments for his clients. Julia Wilson has been instrumental in the operations of CWPH since 2005. Julia is a 'put your head down and work' kinda gal. Her innate ability to work with horses is impressive to watch and her gentle spirit reflects in the horses she rides. Julia herself, has had much success in the show pen as well in both the Cutting and Reined Cow Horse pen! Anna's big passion in the equine industry is starting young performance horses. 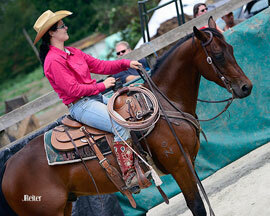 Though now focused on cutting and working cow horse, Anna has experience in the dressage and jumping world as well. 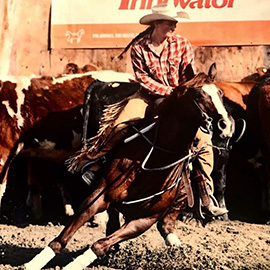 As a graduate of the Equine Science program at Olds College, Anna's goal is to give every horse she works with a solid basis to help them succeed and excel in their chosen discipline.